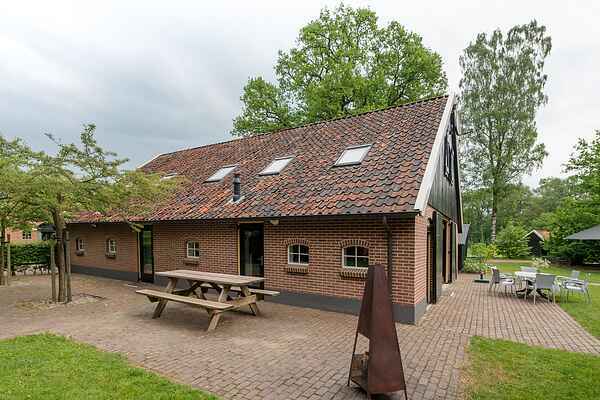 This comfortably furnished group house is in the Achterhoek area in the province of Gelderland. The house is surrounded by attractive countryside and near the town of Aalten. It is just a few kilometres from the German border. This is the perfect location for lovers of beautiful scenery. The holiday home is in what is locally called a 'Coulissen landscape' and is surrounded by woods and meadows. It is the typical landscape of this part of the Achterhoek. The house is attractively furnished in a modern style with a hint of nostalgia. This the perfect location for an enjoyable stay with family or friends.